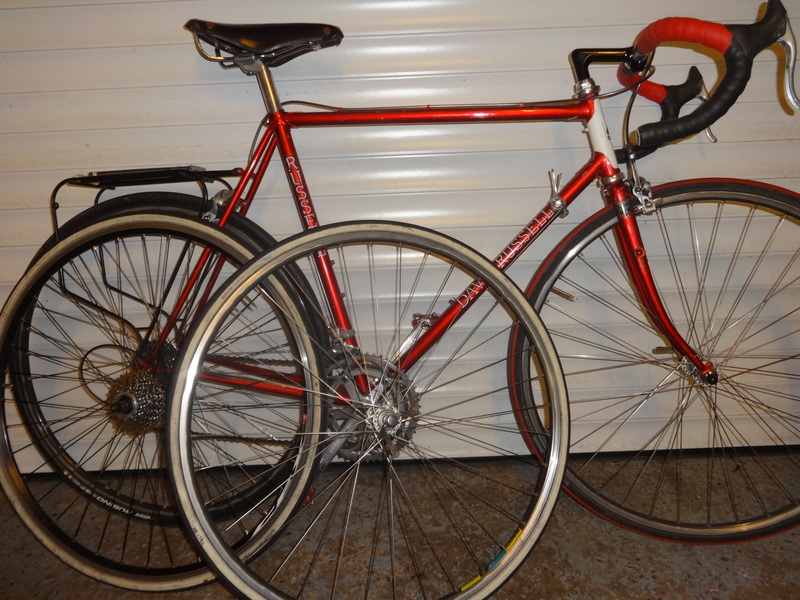 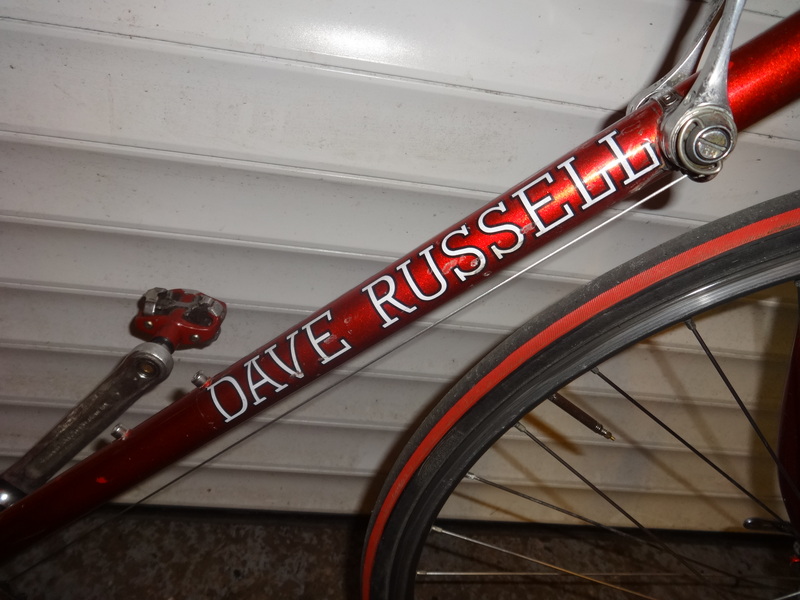 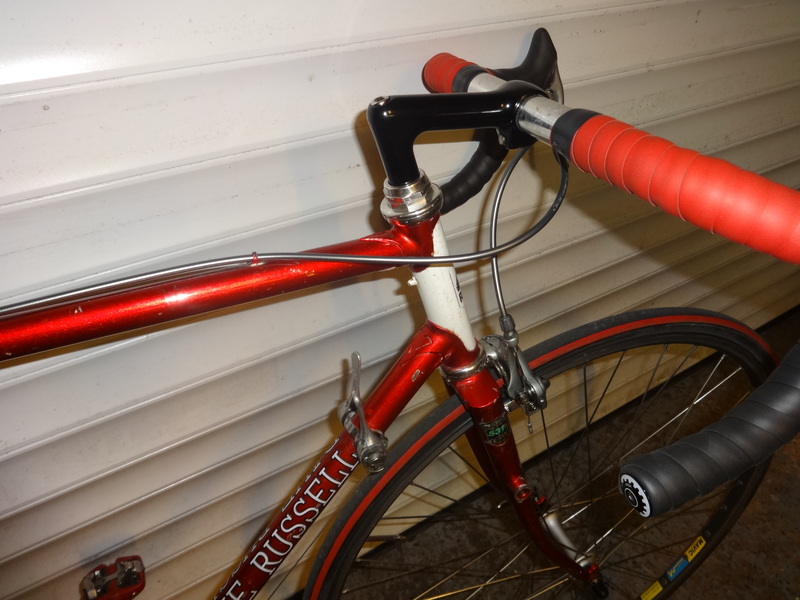 22"/56cm Dave Russell custom handbuilt Reynolds 531 frame and forks, finished in original beautiful ruby red metallic paintwork with white head tube. 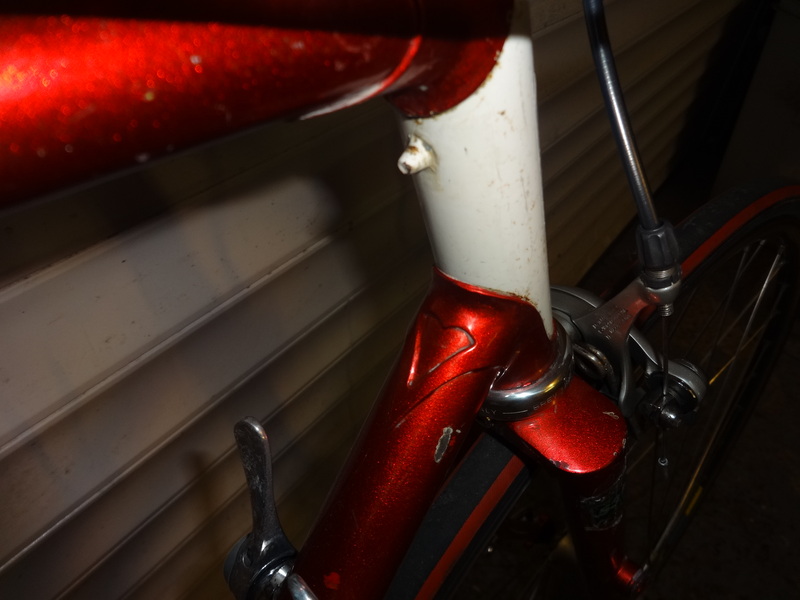 Paint is original but sadly it's seen better days - there are lots of scratches and scabs to the paint but the frame is fundamentally sound with no dents or dings. 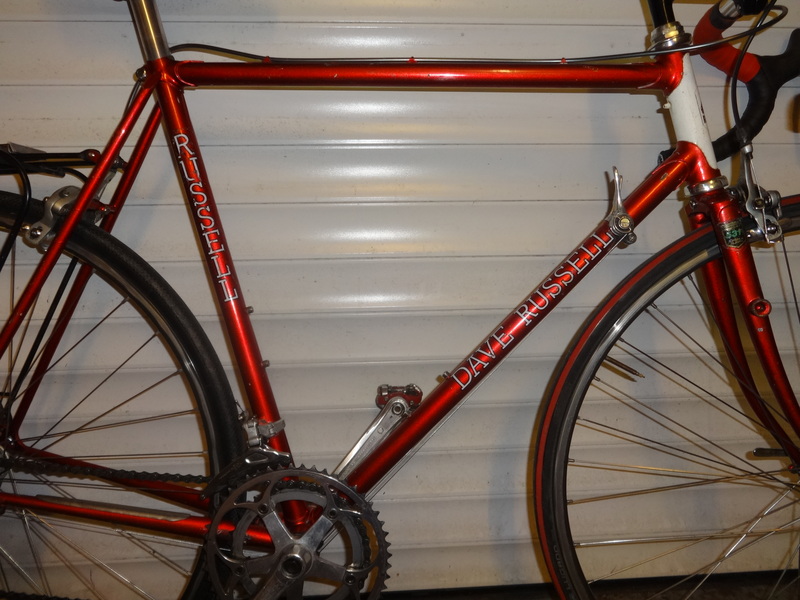 It would benefit from a respray or powdercoat if you wanted but to be honest I like it the way it is - some would call it patina! 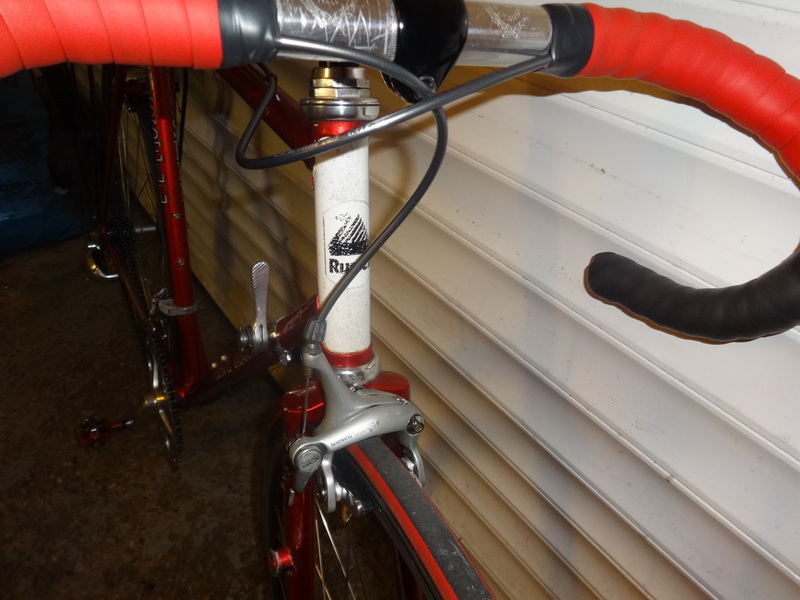 Shimano 105 dual pivot brakes and aero brake levers. 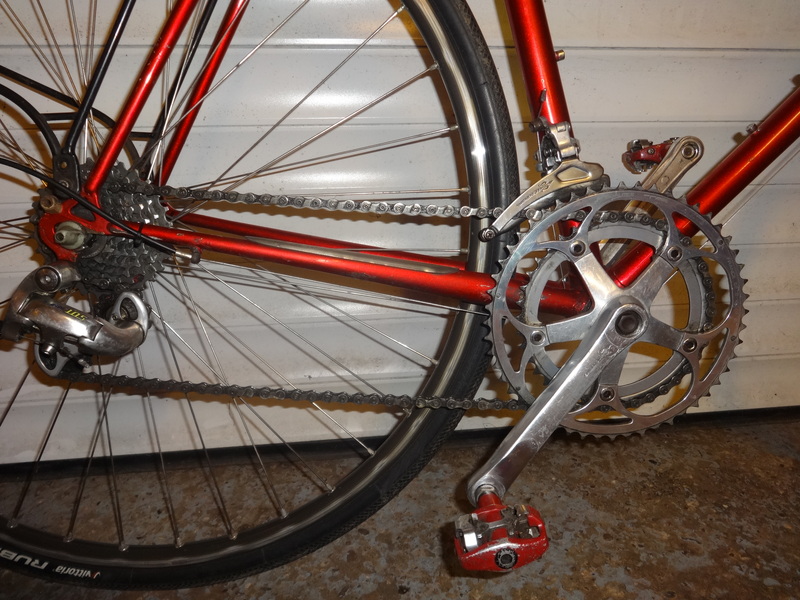 Fitted with brand new brake shoes & pads, and new inner & outer cables. 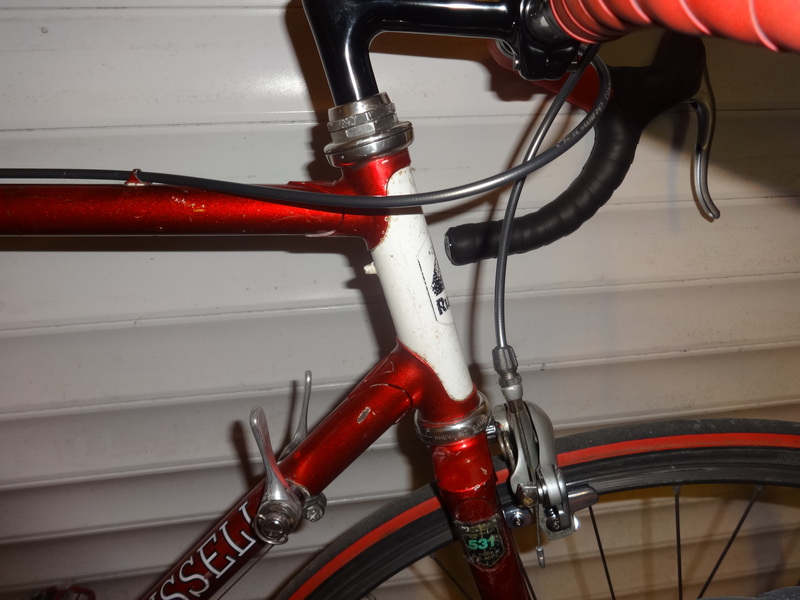 Levers are scratched as you'd expect with a bike of this vintage but brakes work superbly well. 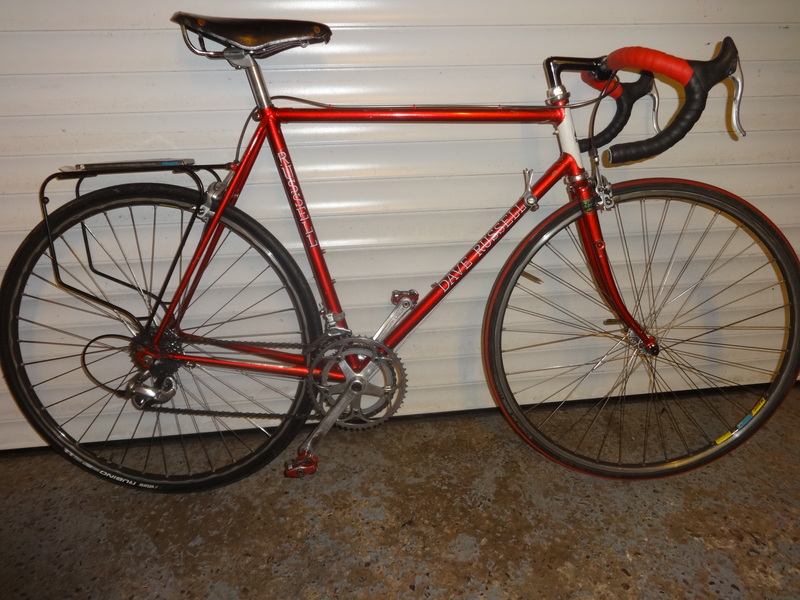 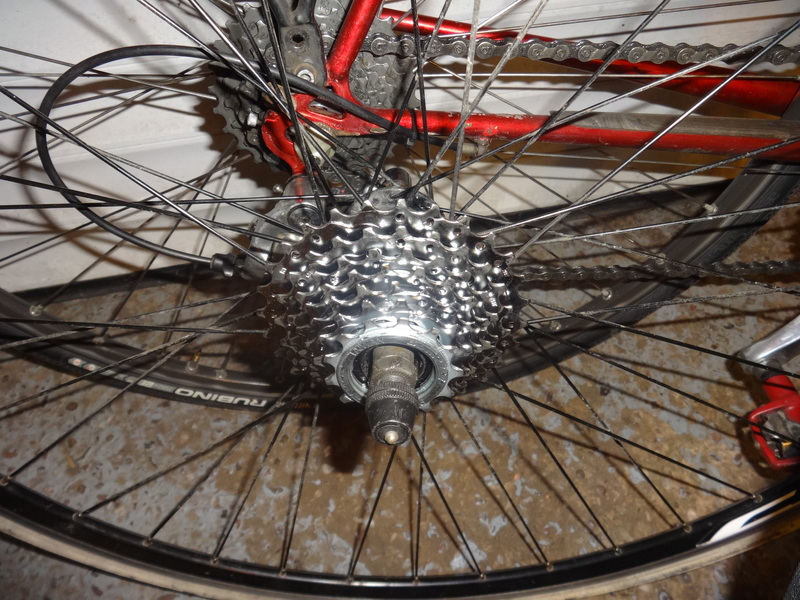 There is a spare set of wheels included for free: Shimano 600 front hub on Open 4 CD rim (more wear than the wheels on the bike but still loads of life left) and a pretty new rear wheel with no wear at all to the rim - this also has a brand new 7 speed SunRace freewheel fitted. 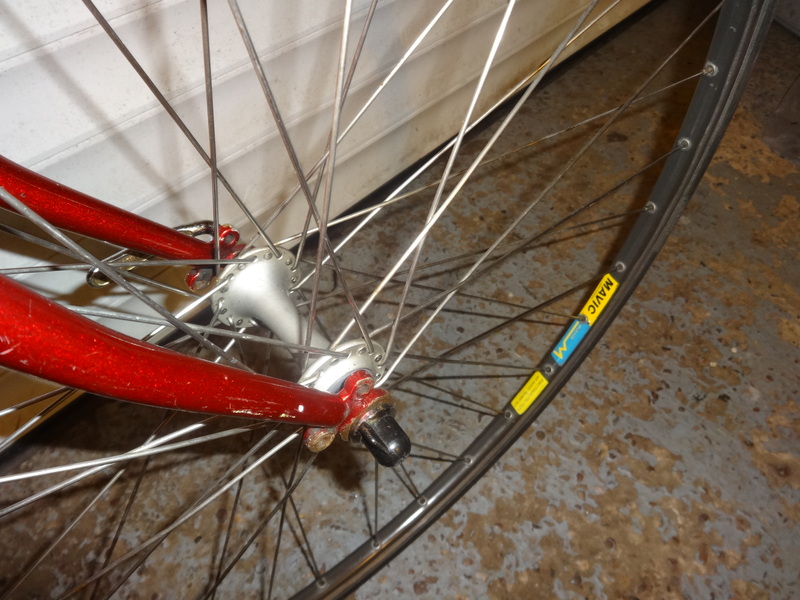 Tyres are Continental Super Sport white walls in good condition. 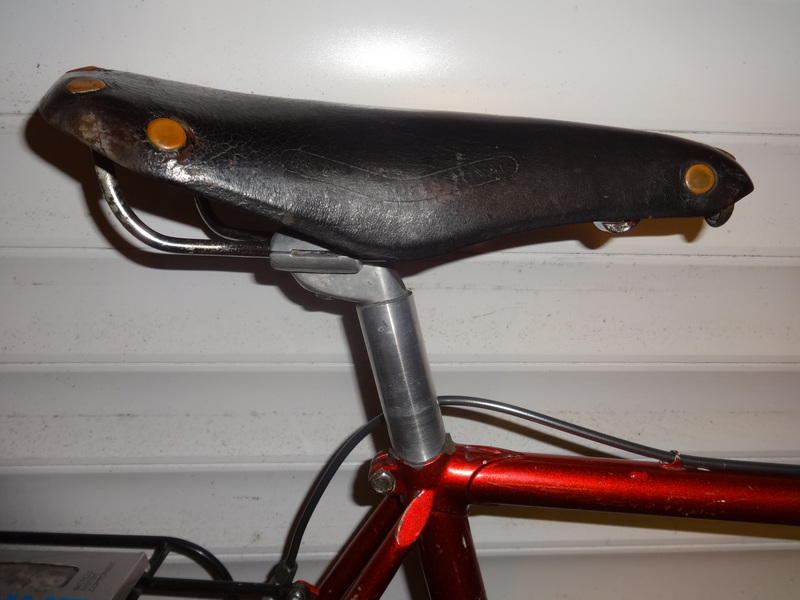 Rear needs truing but is otherwise fine. 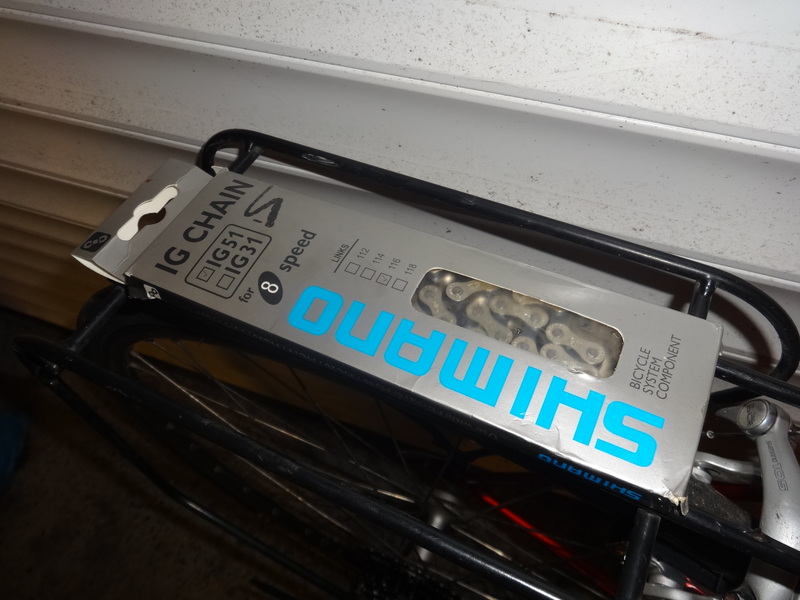 The new freewheel doesn't run very well on the used chain on the bike, so I have also included a new Shimano IG51 chain as a spare when you need it.